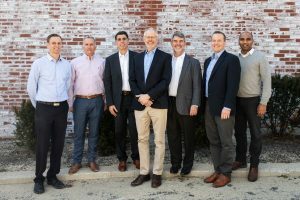 New York, N.Y. – Thornton Tomasetti, the international engineering firm, has acquired Becker Structural Engineers, Inc., a Portland, Maine-based firm with specializations in mass timber, parking structures and highway bridge projects. The deal will expand Thornton Tomasetti’s ability to serve clients in New England. Terms of the transaction, which closed at the end of March, were not disclosed. Becker will work closely with the firm’s Portland, Maine and Boston offices. Company Founder and President Paul Becker, P.E., SECB, and Vice President Todd Neal, P.E., SECB, will become senior principal and principal at Thornton Tomasetti, respectively. Becker’s 27 employees will remain in its existing office at 75 York St.
For nearly 25 years, Becker Structural Engineers has offered a range of new design and rehabilitation services for commercial, cultural and residential buildings, parking structures and highway bridges. Its capabilities include historic restoration, seismic upgrades, structural strengthening and construction support services, such as structural evaluations, condition assessments and special inspections. The firm works across most sectors, with a strong presence in education and healthcare. The acquisition will complement Thornton Tomasetti’s current offerings, including increased expertise in mass timber projects. Becker has completed a number of mass timber projects, while Thornton Tomasetti is currently providing structural engineering services to what could be the tallest mass-timber tower in the Western Hemisphere, the 16-story Ascent in Milwaukee, Wis., and was on the team behind the concept of an 80-story timber skyscraper in Chicago., Ill.
Paul Becker is an advocate for the expansion of the heavy timber industry in Maine. His expertise in the field, along with that of Thornton Tomasetti’s Sustainability team, will give the firm a strong foothold in Portland, which will join the firm’s other mass timber centers of excellence in Toronto, Seattle and Chicago. The Becker team and Thornton Tomasetti’s Portland office already have a long history of working together. They have paired up on such projects as the 30,000-square-foot, LEED Platinum Roux Center for the Environmentat Bowdoin College in Brunswick, Maine, a 23,000-square-foot addition to the Waynflete School Campusin Portland that is seeking Passive House certification, and the 100,000-square-foot University of Maine Engineering Education and Design Center in Orono, which is targeting LEED Silver certification. Becker’s parking practice is responsible for such projects as the $27-million, 1,000-space addition to the Portland International Jetport Parking Garage andthe 2,400-car, eight-story garage for the Maine Medical Center, which is currently under construction in Portland. The firm’s bridge group often works with the Maine Department of Transportation. Projects include the deck replacement for the Memorial Bridge in Guilford and the replacement of the Webster Avenue Bridge in Bangor. Becker also offers niche design services for architecturally complex, high-end residences.